I can't tell you the last time I went to McDonald's. I really try to stay away from fast food. Once in a while, you still get a craving for two all beef patties, special sauce, lettuce...............you know the song. 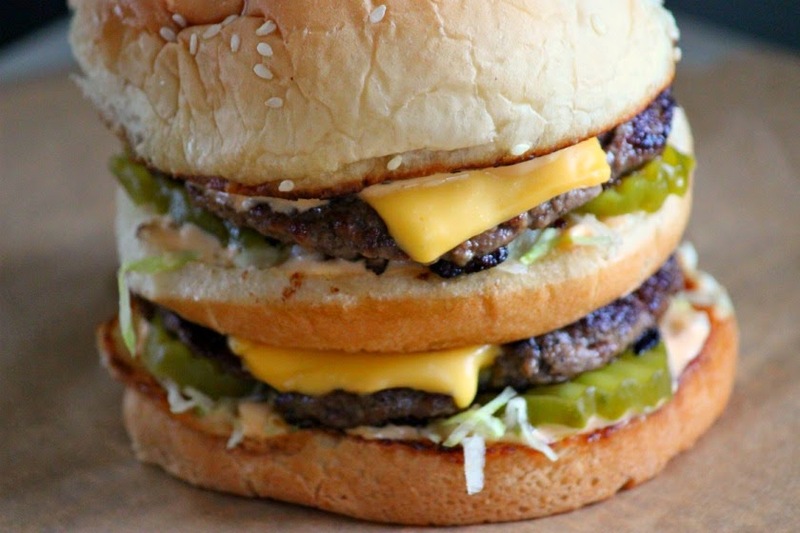 Here's how to make a fresh Big Mac at home with ingredients you most likely have on hand. Mix all sauce ingredients and refrigerate for at least one hour for flavors to blend. Divide ground beef into 8 equal portions. Form into VERY thin patties, about 1/4" thick. Season with salt and pepper. 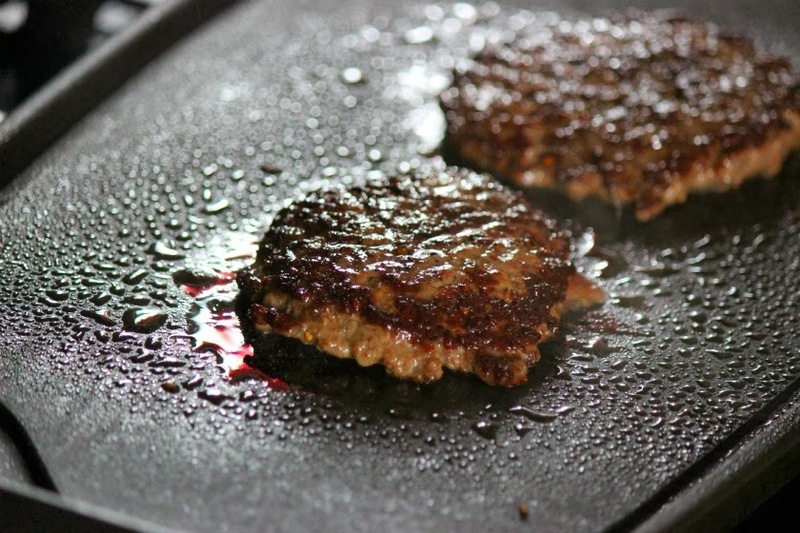 Heat up a griddle or cast iron pan. 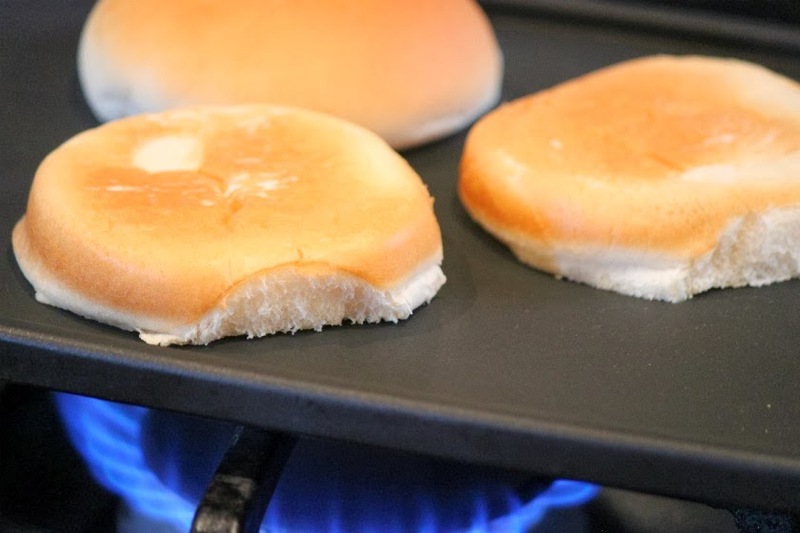 Lightly butter hamburger buns. 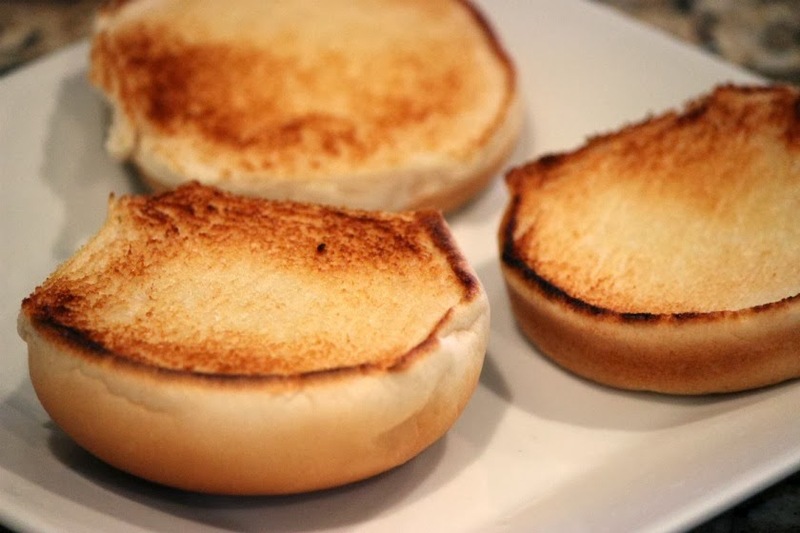 You will be using two bottoms and one top of the buns. 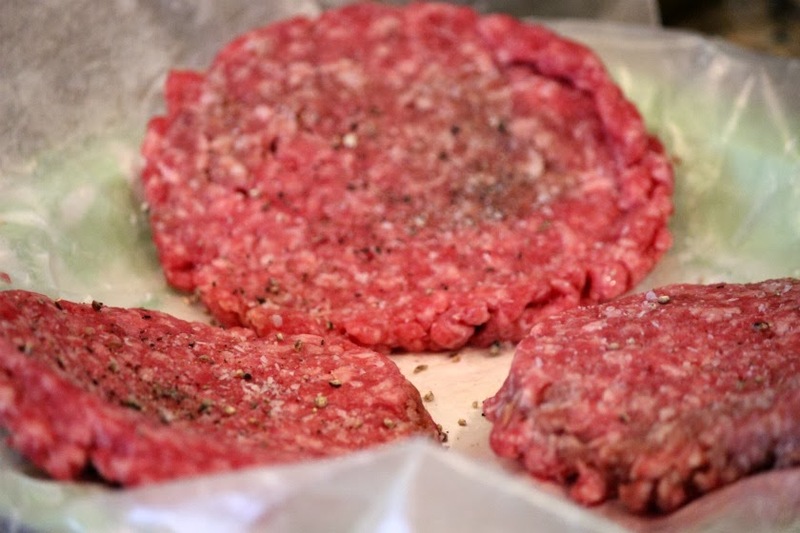 Fry hamburger patties until nicely browned on each side. While the burgers are frying, top each bun portion with about 1 Tbsp. of Special Sauce. 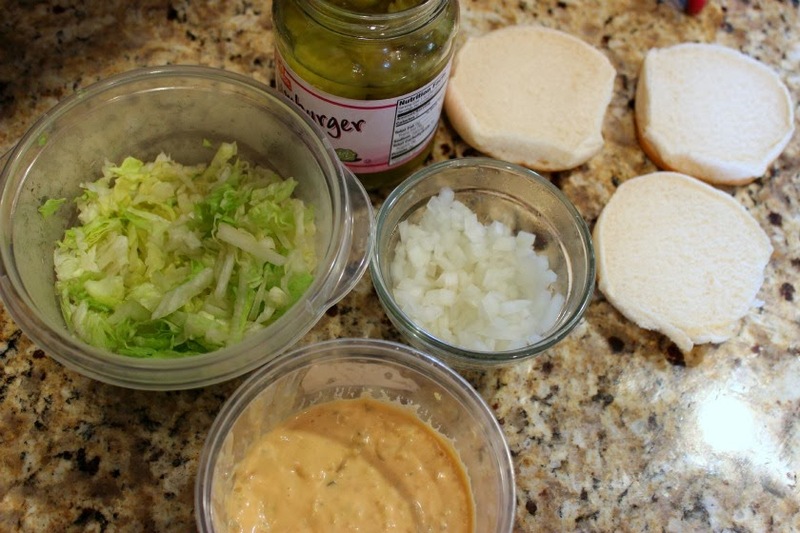 Top two portions with shredded lettuce, minced onion and pickle slices. Top each "bottom" bun portion with hamburger pattie and top with a slice of American cheese. Add remaining top bun portion. 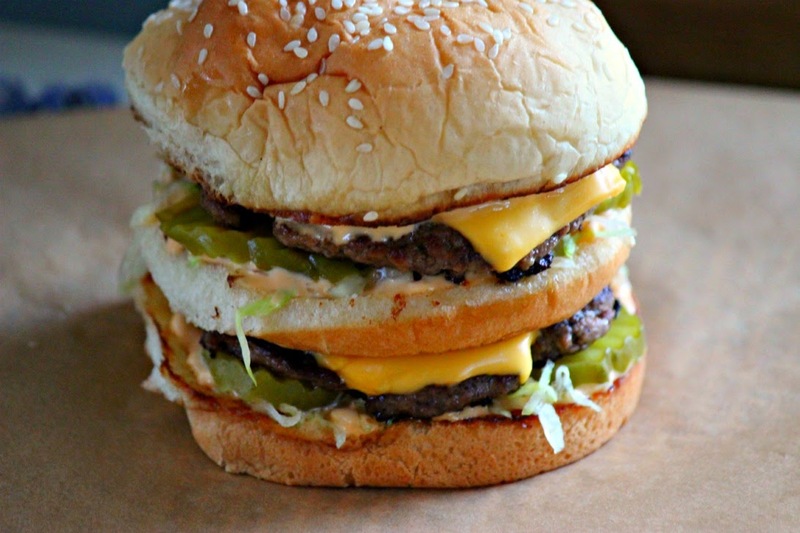 Makes 4 BIG MACS to enjoy at home! 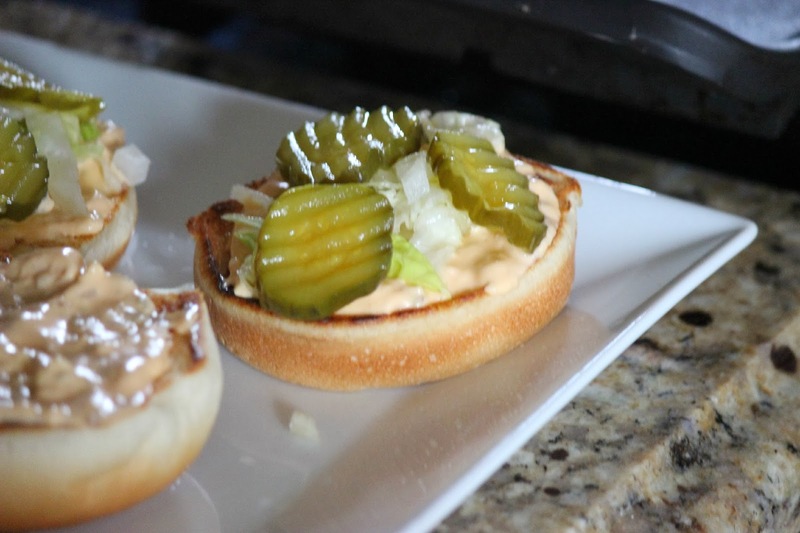 Cindy gives us her version of a Gluten Free version with her substitutions. Thank you Cindy for this recipe! Make it a Gluten Free Special Sauce! These look ten thousand times better than the real deal. Big Macs are a big weakness for me and I have to pray not to go to MacDonald's when I drive by one. I haven't been to one for a long time, but I will definitely be making YOUR recipe!!! Hope you're having a wonderful 2014!!! Of course you can get the GWBush Big Mac. Order a McDouble, hold the ketchup and mustard, add Mac sauce and shredded lettuce. Only thing missing is third bun, and sesame seeds. Most McDonalds charge 60 cents for the subs, but that is still half the price. McDonalds where I live have caught on to that trick and will charge you the same as a Big Mac to make those substitutions ... I used to do it. HOWEVER, if you order that same thing without mac sauce, but then order fries with a side of mac sauce ... they don't. Tried these tonight and they were amazing. They tasted just like the real thing. I will be making this again. Thanks for the recipe! Hello Pukasnuk! Thanks for your comment and I'm so glad you enjoyed!! This is my absolute favorite! Thanks for posting and re-posting! Everyone should try this! Thanks Cindy! It's really getting popular on the blog!